2K Games has released a host of new screenshots of WWE 2K15 as well as a wealth of previously unknown information about the upcoming wrestling title. The publisher has revealed that the game is a collaboration between Visual Concepts and Yuke’s, the developer behind previous entries in the series. Visual Concepts is a Californian development studio that has worked on a number of sports games, most notably the NBA 2K series. 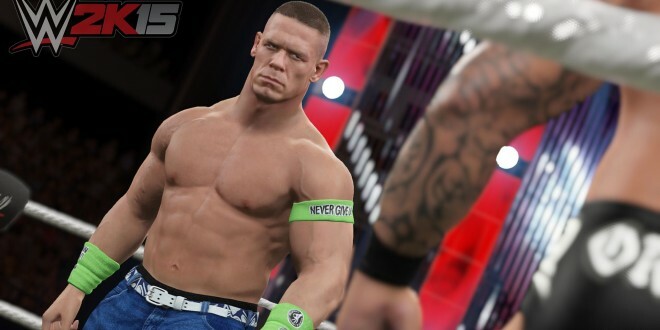 Other details revealed included brand new gameplay enhancements that have been designed specifically to make the core gameplay of WWE 2K15 far better than its predecessors. These include improvements to the controls, responsiveness and graphics that make 2K Games believe makes the game the most complete wrestling experience ever created. This includes using new motion capture technology to better recreate real-life animations and bring the game closer to what viewers are used to seeing on their TV. The publisher also confirmed that character models will be of greater detail than ever before, making the wrestler’s appear to be far more authentic. They developers have also introduced new lighting systems and improved sounds to recreate the real-life spectacle, while the commentary has five times the amount of recorded lines than WWE 2K14. While details on new game modes were not given, 2K Games did reveal that they would be releasing more information nearer release. The game is the second in the WWE 2K series, following the change from SmackDown vs. Raw in 2013. The previous entry was a commercial success and received positive reviews from critics. WWE 2K14 is expected to release October 28 in North America and October 31 in Europe and the rest of the world. It will be available for PlayStation 3, PlayStation 4, Xbox 360 and Xbox One. Those who pre-order the game will get exclusive access to the in-game character of real-life wrestler Sting. A total of 108 years has been spent playing Evolve since it released last week, and 254 years has been spent watching the game on Twitch TV.